When choosing between two such amazing services like EveryPlate and One Potato, you need to take a good look at all the little details that may make one superior to the other. The goal of this EveryPlate VS One Potato comparison is to provide an objective assessment of the quality of both services based on the degree to which they satisfy all the major criteria for meal delivery comparison. View the scores they received on every criterion, take a look at their most prominent features side by side, and discover which one of them has done more to ensure your complete satisfaction. 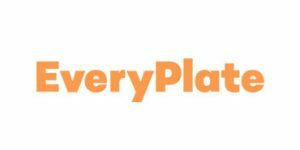 EveryPlate is a family-friendly meal kit service that offers easy recipes and fresh and healthy ingredients at the lowest prices in the industry. One Potato makes cooking for the whole family easier than ever with semi-chopped organic ingredients, pre-made sauces and marinades, and easy recipes for delicious, crowd-pleasing meals that take half an hour or less to make. EveryPlate offers a 2-person and a 4-person meal plan. EveryPlate menu features 5 new recipes per week. EveryPlate offers recipes for omnivores and carnivores. All recipes are dinner ideas. There are no vegan, vegetarian or allergy-friendly recipes. EveryPlate sources high-quality ingredients. Although not organic, the ingredients are natural and always fresh. EveryPlate meals come in medium-sized portions that satisfy most appetites. The meals are well-balanced and nutritious. The calorie count per serving normally ranges between 500 and 950 calories. EveryPlate allows you to modify your order or skip a week with ease, straight from your EveryPlate account. You can also cancel your subscription whenever you wish. You only need to be sure to make the desired changes by midnight 5 days before your next delivery is scheduled. If you are not satisfied with your EveryPlate shipment, you need to get in touch with the company's customer support within 5 days of receipt in order to receive a store credit or a full or partial refund. With One Potato, you get to choose recipes from its weekly menu, which features 2 categories, including the Vegetarian Box and the Omnivore Box. Customers who want to order One Potato's Vegetarian Box have 5 recipes at their disposal per week whereas patrons who wish to order the Omnivore Box can pick from 6 recipes on a weekly basis. One Potato meals are suitable for omnivores and vegetarians. Individuals allergic to gluten or nuts can receive allergen-free alternatives to gluten-containing and nut-containing ingredients. The menu features recipes suitable for both lunch and dinner. The service features new recipes on the menu every week, but there are 3 picky-eater approved recipes that are available at all times. One Potato provides the freshest ingredients sourced from the best farms in the country. All the proteins and produce you receive from this service are certified organic and free from GMOs. One Potato offers both adult-sized and kid-sized portions, with a kid-sized portion amounting to about a half of the adult-sized portion. The portions should satisfy individuals with an average appetite. The meals are well-balanced, with the right amounts of carbs, fat, and protein in every dish. With One Potato, you can change, skip/pause or cancel your subscription at any time. You can skip up to 6 weeks in advance. To make changes to your order, you must contact the company 6 or more days before your next delivery is due. For cancelations, you must contact the company via email. If you miss the deadline to skip an order, you can get in touch with One Potato before Friday at 3pm and the company will cancel your delivery and charge a 50% last-minute pull fee. After Friday at 3pm, the company will not pull any deliveries or issue partial refunds. For information about refunds, you should contact One Potato directly. I’m sure there are people who wouldn’t be happy with it because they expect more, but we love it. I spend less when I cook with everyplate then when I buy the food myself and I don’t have to spend time planning meals. The recipes are simple, nothing impressive, but it’s always tasty, quick, and enough for my hubby and me. And I like that I can pronounce all the ingredients, other services charge you more for some fancy stuff you may not even like. Pros: Good quality, great price, decent portions, easy recipes. Cons: I see that I’m not the only one bothered by the absence of labeling. Some of the ingredient bags have the contents printed on them, but not all of them and not all ingredients come in bags. That’s just lazy. I don’t want to have to guess what the ingredient is and compare box contents with the ingredient lists on the recipe cards. I know the prices are low, but how much could a couple of labels cost, I mean, it’s not a huge deal, but it is annoying. The meals are yummy, easy and the kids love it. I agree with a previous review. We have missing ingredients and one shipment, we were were sent the wrong meal kit entirely. We were supposed to have a salmon meal, we got the salmon but the kit was for burgers. We were excited about this as an organic option and the packaging was a little less plastic-intensive, but this is some of the worst tasting food we've ever had! Even the cookies/cookie dough was awful. Spaghetti sauce was like plain tomato sauce. The fixings for the burgers all tasted bad as well. They need to get a real chef on board. The meals are good for a meal delivery service but I have had 4/10 boxes arrive with missing ingredients. Sometimes its not that big a deal because it is cilantro or mint but last week it was cashews for orange chicken which caused a undated trip to the grocery store. I send in notes to the company hoping it will get better but it doesn't appear to be improving. No words can explain how happy we are we discovered One Potato. The kids love that they can help around the kitchen and clean the plate every time, even ask for seconds and I’m just happy I can stop worrying about what to cook next. If you are wondering which meal kit service is the most affordable of them all, the answer is EveryPlate. It is one of the 2 most budget-friendly services of its kind and in spite of the low cost, it does not compromise on freshness and quality. Discover all the reasons why you may want to give it a try in this in-depth EveryPlate review.